Friends | What's (in) the Picture? 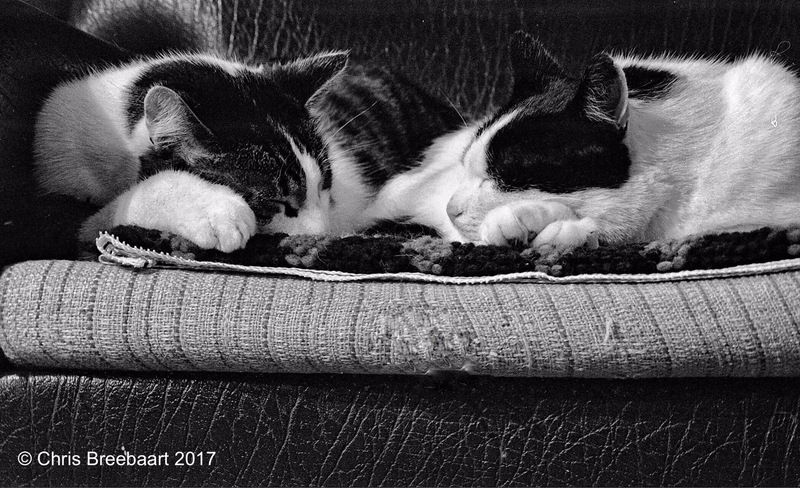 Two long gone cats, in memory of Mazzel and Boef. The picture was are originally shot with a Pentax K1000 on Ilford FP4, scanned from negative and tweaked using Snapseed and Marksta. Click the picture for a larger version. Awww …. so cute. Perfect for the challenge. I love your contribution. Lovely cats 💜, And thank you for including my link – I’m touched. Blessings, Debbie PS have a great week!